Containers are the latest wave in the virtualisation revolution. A container is effectively a virtual machine, but without the hypervisor required by existing forms of server virtualisation. Instead, containers run directly on the OS. They contain all that is needed to run an application or service in a lightweight runtime bundle that can be spun up, run and decommissioned rapidly. For that reason, containers – which have settled on a de facto standard of Docker – are huge in the world of web and mobile where the need to rapidly burst workloads is vital. 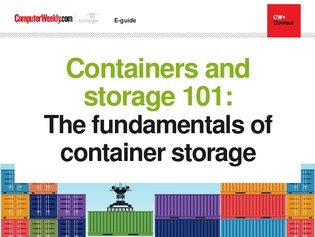 In this e-guide we look at the basics of Docker storage and backup, key containers capabilities in storage vendors’ offers and how containers can be incorporated into the private cloud environment.